Retirement does not always mean the end of work for many people. Many retirees find their way back into the workforce for a number of reasons, including needing more money or simply being bored at home. Whatever the case may be for you, finding and applying to the right job can make a world of difference during your retirement years. Determine what you want in advance. It’s important to know what you’d like to do before you start your job search. That includes the field you’d like to work in and your potential job title. Ideally, you may wish to return to your previous field in a similar job. However, you may have to look into related or totally new fields if you can’t break back into your previous line of work. Decide what type of hours you’d like to work and what kind of schedule you’d be comfortable with. You may need to be more flexible, depending on the job market in your area and how immediate your financial needs are. You may prefer a regular 9:00 to 5:00 schedule, but you might have a better chance getting a job that requires late or overnight shifts if there are a lot of applicants for daytime shifts. Look for industries that hire workers over age 50. If you cannot get back into your previous industry, you may want to look into industries that are specifically known for hiring workers that are age 50 or older. There are many options, though which one you choose may depend on your experience, your financial needs, and the job market in your area. Retail businesses frequently hire workers of all ages, including workers over 50. Applying with a retailer you visit frequently can further improve your chances of getting hired. The elder care industry is notable for its lack of age bias/discrimination. Working in the elder care industry can also bring a great sense of fulfillment. The wealth management/banking industry frequently hires workers over age 50. Many workers over 50 years of age find work as a tour guide. It may be seasonal work in some places, but it allows you to get involved with a place you’re interested in. Driving can be a fun and lucrative job, if your license and insurance are valid. You can apply for work driving a shuttle or bus, or try a driver service like Uber or Lyft. Your financial situation may be one of the greatest determining factors when you search for jobs. 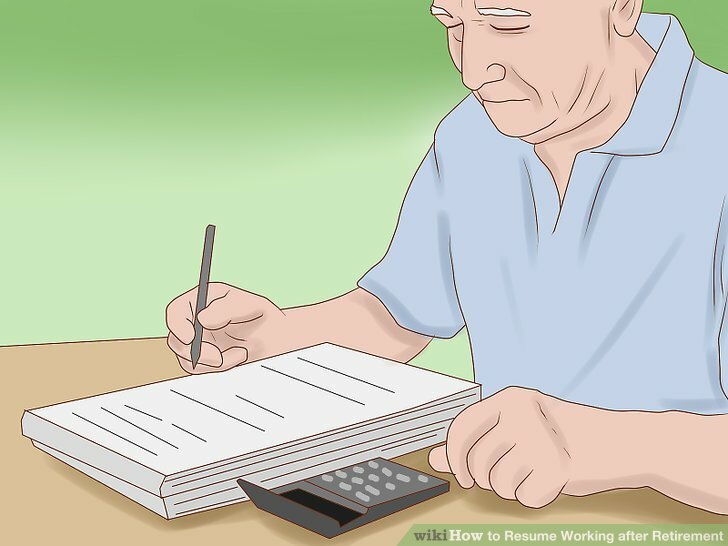 If you’re fairly secure with your savings and other sources of income like Social Security, then you may not need to worry as much about how much a given job would pay. However, if you’re struggling to make ends meet, you’ll need to find a job that pays a wage you can live comfortably off of. Calculate your monthly expenses, including housing and mortgage costs, utilities, transportation, food and entertainment expenses, and any medical bills you pay. Calculate your monthly income, including Social Security benefits, retirement plans, and investment income. Don’t forget to calculate your monthly expenses and your monthly income after taxes, not before. This will help give you a more accurate picture of your financial situation. The difference between your monthly expenses and your monthly income is called your income gap. You’ll want a job that pays at least as much as your income gap so you’ll be more financially secure. Recognize the potential downsides of returning to work. Working after retirement can be enjoyable and highly rewarding. However, there are also certain downsides that can come with returning to work after retirement, and the risks need to be weighed against the benefits. Returning to work could negatively affect your pension, which is calculated based on your salary in the years prior to retirement. 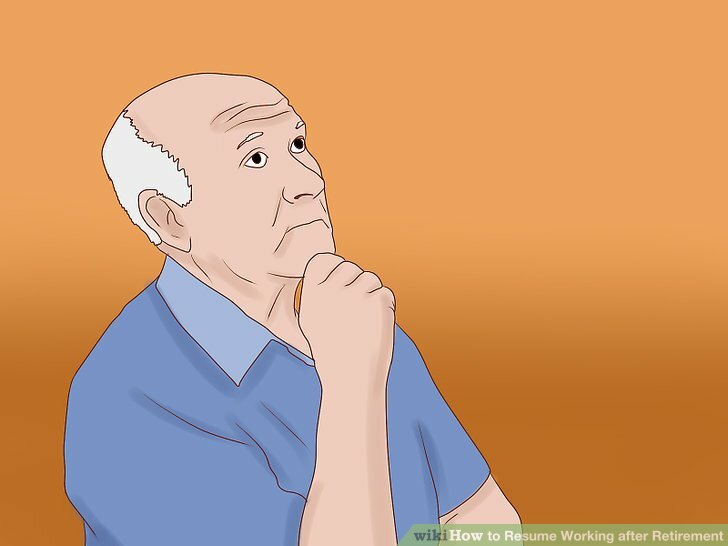 If you resume working and then permanently retire later, it could result in a lower pension payout. Going back to work can potentially cut into your family and vacation time. As a new employee, you may be expected to pick up swing shifts, holidays, and other undesirable work blocks. 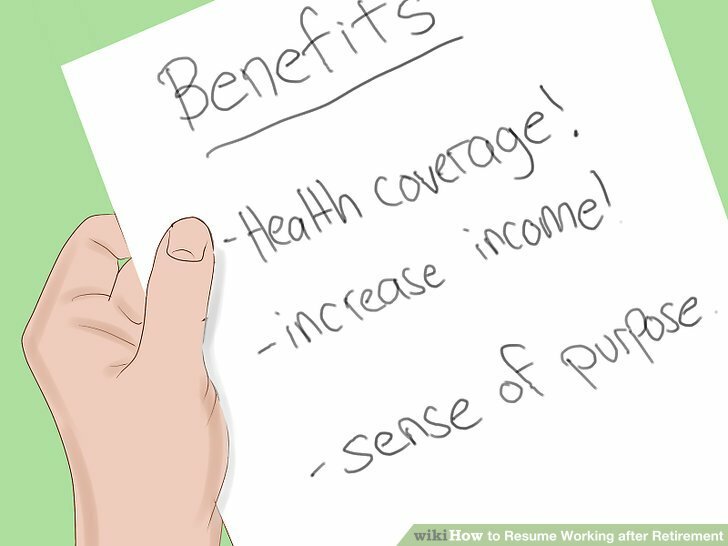 Identify the potential benefits to returning to work. Returning to work has many potential benefits. If you’re considering going back to work, it may be worth looking further into how a regular work schedule could benefit you. If you retire before age 65, you will not yet qualify for Medicare. By returning to work until you’re at least 65, you’ll be able to get health coverage through your employer, or at least be able to pay for healthcare more easily. By returning to work, you can increase your monthly income to help pay for any expenses and build a savings for the future. Returning to work will also allow you to spend more time out of the house. 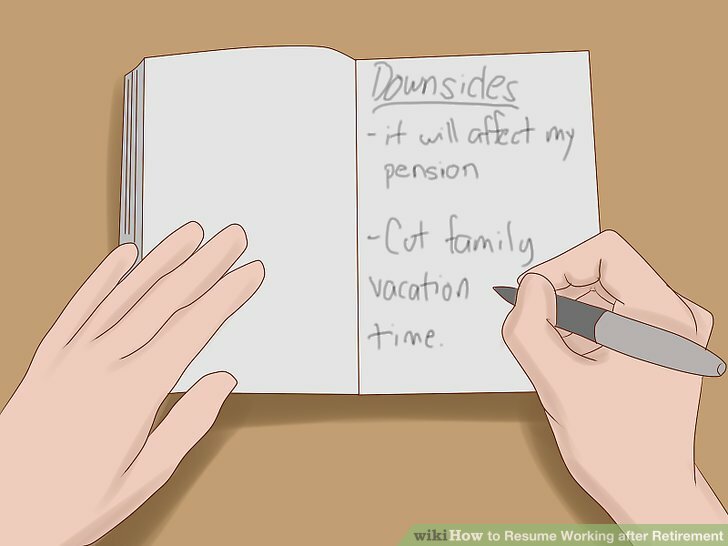 This can generally help you have a normal schedule and a sense of purpose, which some individuals lose after retiring. Search for jobs that you qualify for. There are many ways to find job openings in your field or any other field of work. If you don’t have any leads you can search online for openings in your area. However, a more secure approach may be to seek out jobs through your connections. Networking can help you find work in your field. Prepare a 30-second “elevator pitch” that summarizes who you are, what you’ve done, and what you’d like to continue doing. Reach out to former colleagues and professional acquaintances/associates. Let them know you’re looking for work, but don’t ask for a job; instead, ask about their professional experiences and how to break back into the field. Consider reaching out to the hiring managers and department heads at your old job. Let these individuals know that you’re interested in project assignments and more steady work. Don’t be afraid to search outside your industry in a related field (with similar skill sets). You may also want to consider “starter” and as-needed positions, like a consultant. 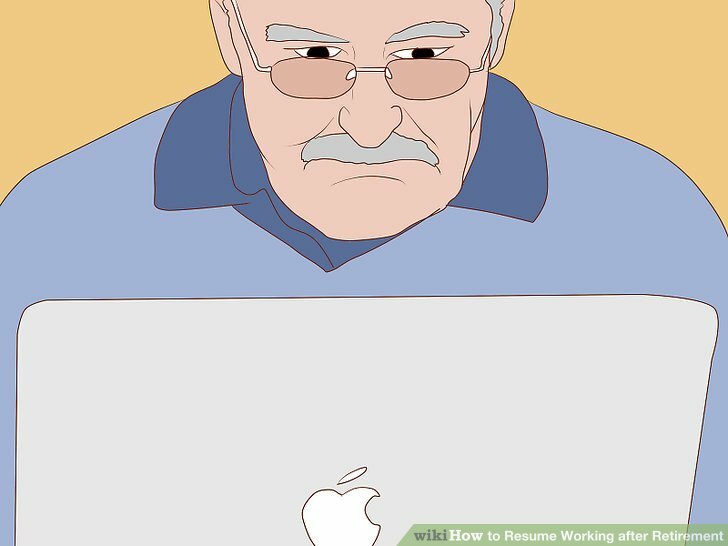 Having an online presence can help prevent employers from engaging in ageism, as you’ll seem by all accounts to be a contemporary working individual. That said, there are some online platforms that are more helpful than others, and it’s important to maintain a professional appearance online as well as in real life. Build your professional network on sites like LinkedIn. This can help highlight your professional experience and the scope of your colleague support. Make sure your social media accounts have privacy settings in place that won’t let potential employers see what you’ve posted. Or, at the very least, make sure you haven’t posted anything offensive or overly-controversial. You can clean up your social media accounts using specialized apps like Social Sweepster, which delete posts that could potentially ruin your employment chances. Consider removing your age from your networking and social media accounts. 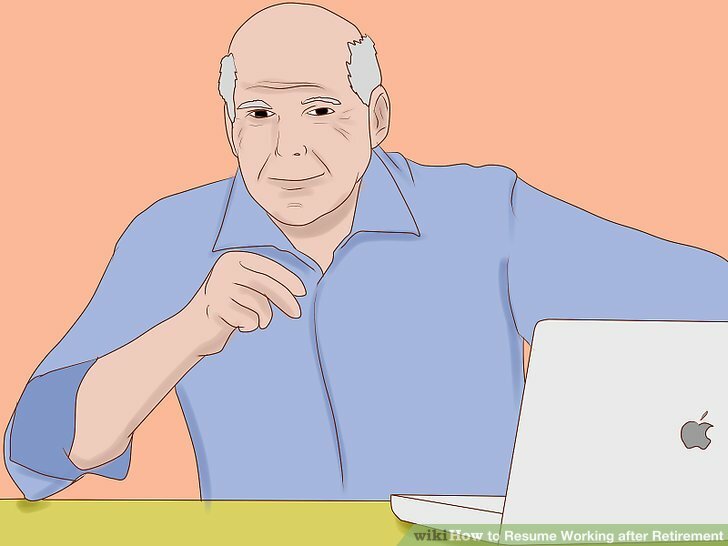 That way potential employers won’t actually know how old you are. Your resume is the first thing an employer sees, and it could be what makes or breaks your chances for an interview. Make sure there are no significant gaps in your resume (or explain any gaps that may be problematic), and be sure to list your work experience and education in reverse-chronological order (most recent first). Choose a traditional, easy-to-read font like Arial, Calibri, or Times New Roman. Use a normal font size as well: either 10-point or 12-point is ideal, though you can go up to size 14 or 15 for your name to make it stand out. Include your contact information at the top of the page (including a URL for your LinkedIn page, if you have one). Restrict your resume to one or two pages. Your resume should highlight your qualifications, not tell your entire life story. In addition to your resume, your cover letter essentially sells you to the potential employer. 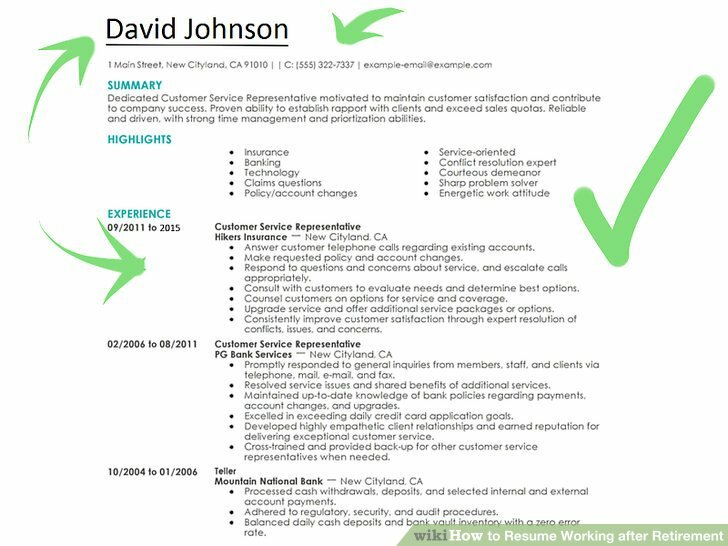 It’s your place to elaborate on what your resume summarizes. It’s also a good opportunity for you to convey your personality and overall career accomplishments to an employer. It’s worth taking the extra time to compose a strong, compelling cover letter to accompany your resume. Check for spelling and syntax errors. These can quickly turn off an employer, as they may look unprofessional. 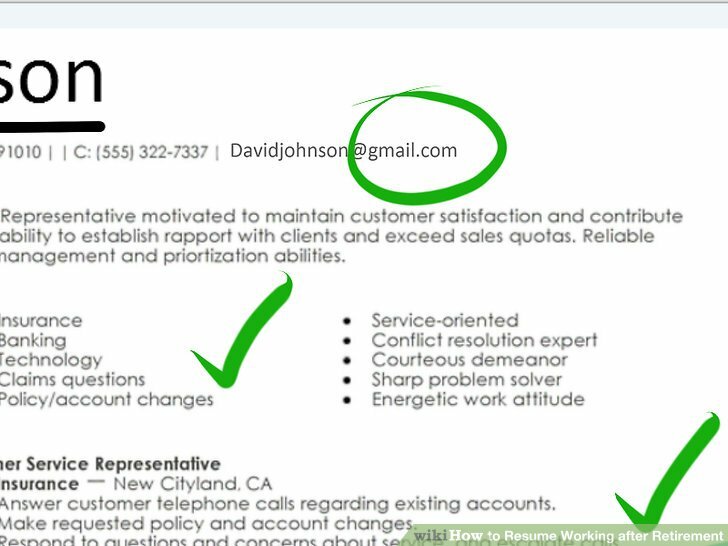 Use some of the key words and phrases that the employer used in the job advertisement. Don’t pull entire sentences, but incorporate certain terms (like “management of personnel” instead of “director of personnel”). Make sure your cover letter has an opening paragraph explaining who you are and why you’re interested in/qualified for the job. Your closing paragraph should politely request an interview or follow-up of some type. 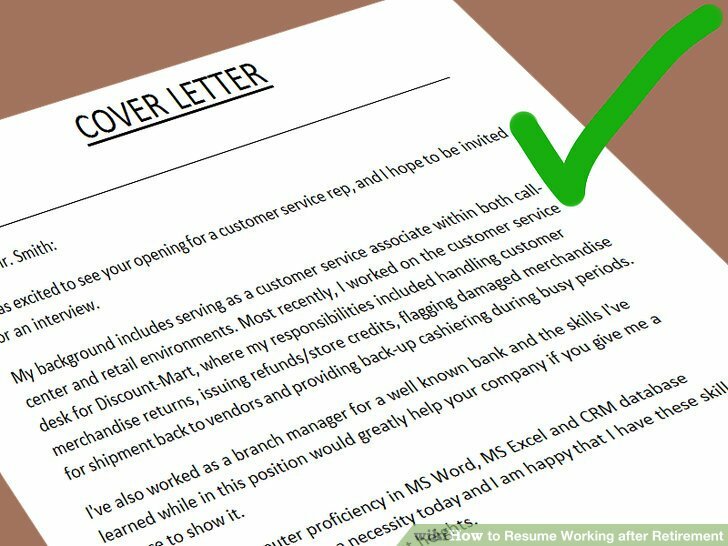 The body of your cover letter, which comes between the opening and closing paragraphs, should highlight and expand on some of your resume’s most compelling points. 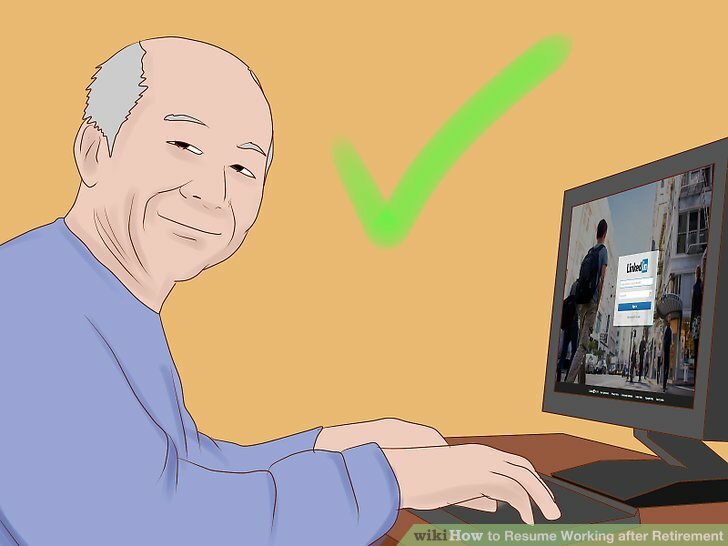 Reduce the chances of ageism. 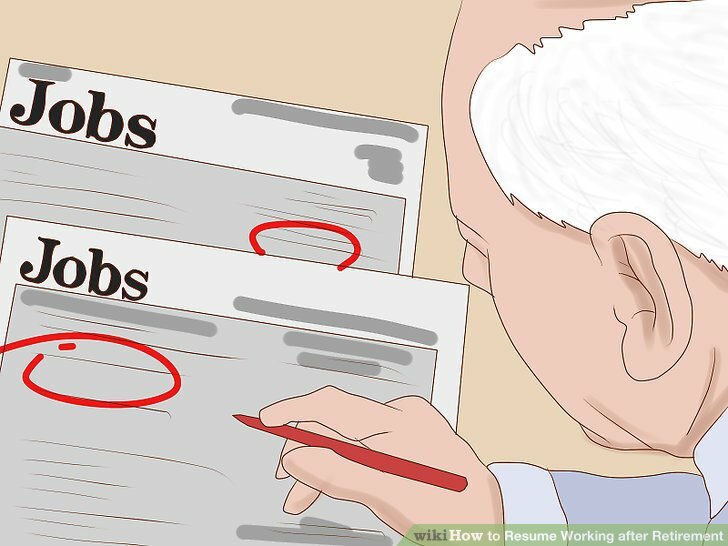 In addition to polishing your resume and cover letter to keep them up to date and accurate, you’ll also want to make changes to reduce the chances you’ll be discriminated against over your age. This includes making your supporting materials look as contemporary as possible and avoiding direct giveaways about how long you’ve been working in your field. Make sure your email address is normal and through a contemporary server like Gmail. Only highlight the last 10 to 15 years of work experience. Rather than discussing your other years of experience, you should focus on your professional skills and achievements. 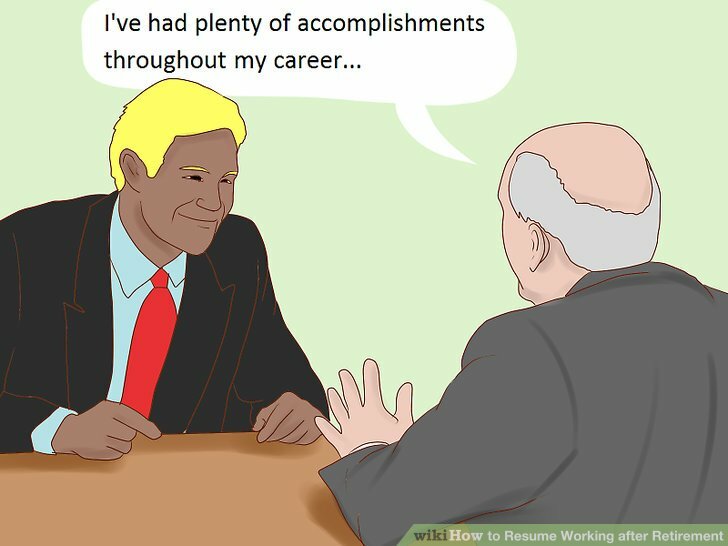 A job interview is a sort of performance. As such, you’ll want to make sure you dress the part for the role you want to obtain. Some companies have a more casual approach to work apparel, but it’s best to err on the side of caution and dress for success. A 40 year old suit may make you look out of touch with other contemporary job seekers. Opt for modern-styled clothing: a slimmer cut suit for men, and a modern blouse and skirt or pant suit (without shoulder pads) for women. Make sure your hairstyle, makeup, and fragrance (or absence of fragrance) are appropriate for both the industry and the position you’re trying to enter. Read up on the company you’re interviewing with. One of the best ways to prepare for a job interview is to do your research. The interviewer will meet with dozens of other candidates, so knowing a lot about the company will show your dedication and help you stand out. At the very least, you should know about the company’s history and the details of the particular position you’re applying for. Know and be able to smoothly incorporate relevant facts and statistics. However, make sure you incorporate that information in a relevant way so it doesn’t look like you’re just dropping facts. You may want to go even deeper and research the company’s earnings, quarterly reports, and blog posts. This will give you a better sense of where the company stands and where it hopes to move in the future. Be able to converse comfortably about what the company is doing and why you think you’d be a good fit. Get there early and be prepared. The worst thing you can do at a job interview is show up late. No one likes to be kept waiting, but arriving too early could make it seem like you’re overcompensating for punctuality problems. It’s best to be there a little early without imposing on the receptionist, and make sure you have everything you’ll need. 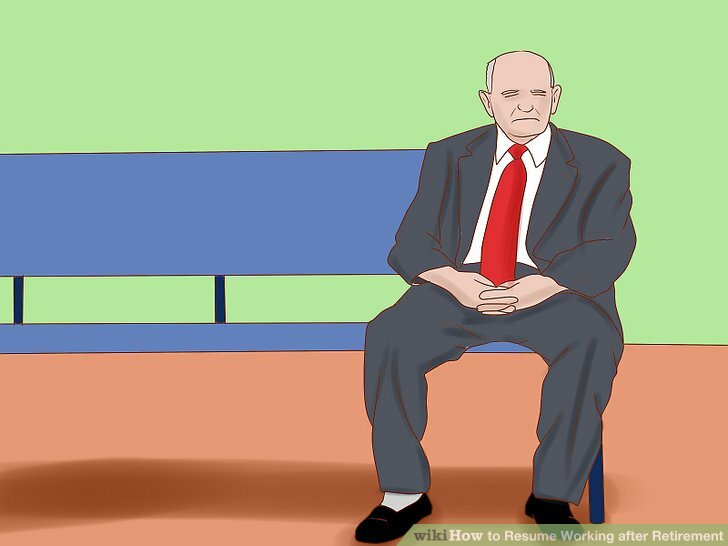 Plan to be in the office and waiting for your interview at least five minutes ahead of time. That means parking and walking to the building at least 15 to 20 minutes early. Bring at least one hard copy of your resume, even if you already submitted one electronically. You should also bring a pen, notebook, and a list of questions to ask the interviewer after they’re finished asking you questions. Some people like to bring a small water bottle tucked away in a briefcase or purse to prevent dry mouth. However, don’t bring coffee or any obvious beverage in-hand, as this may look unprofessional. Give a strong, honest interview. While the resume and cover letter are what can get your foot in the door, the interview is where you really sell yourself to the employer. You’ll need to be polite and respectful, and you’ll want to try and balance confidence with some degree of humility. In other words, be confident without being cocky, and always maintain a professional demeanor before, during, and after the actual interview. Answer questions honestly but completely. Talk each answer out a bit so that the interviewer gets a clear picture of your thought process. Anticipate that you’ll be asked what your greatest weakness is. Make sure your answer shows how you’ve attempted to overcome your weakness. 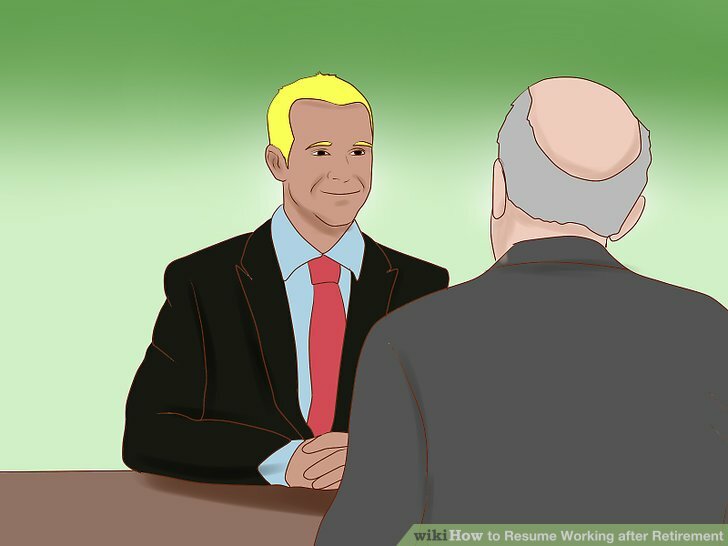 At the end of the interview, the interviewer should ask you if you have any questions. Bring your prepared notes and ask about the company, what your position would entail, and any other relevant questions you may have. You may see your years of experience as a strong point, but if you’re worried about ageism it could create problems to reveal how long you’ve been working. Rather than discussing how much experience you have, focus on the things you’ve managed to accomplish during those years of experience. Highlight your skills and the significant accomplishments of your career. Learn the contemporary terms and jargon relevant to the field. Industry terms may have changed since you last worked that job. If the interviewer asks if you’re overqualified, spin your answer by focusing on why you’re interested in this job/employer at this stage of your professional career. If the interviewer asks about gaps in your resume, spin your answer by talking about how raising a family, caring for a loved one, or volunteering during your time out of work helped you develop applicable skills. 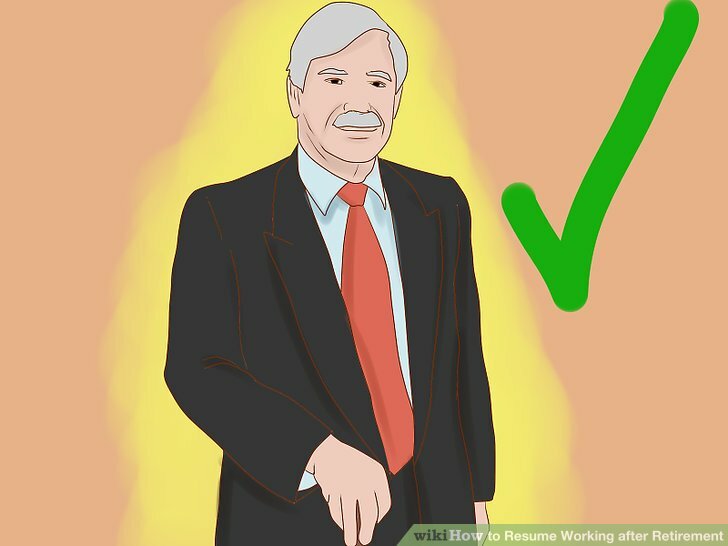 In the event that the interviewer asks about your ability to work for someone younger than you, talk about your ability to work with people from all age levels. Highlight specific instances from your recent employment. Send a follow-up message after the interview. Depending on the position and the company you interview for, there may be a handful of other candidates or there could be dozens. Either way, you’ll want to set yourself apart from the rest as a professional and a likable individual. The best way to do this is to follow up with a polite and respectful message. If you had a phone interview, send a quick email expressing your thanks and reiterating your interest in the position. Be sure to mention the interviewer, the position, and the company all by name. For an in-person interview, jot down each individual’s name who interviewed you and one or two key questions they asked. Send a hand-written thank-you note to each person. 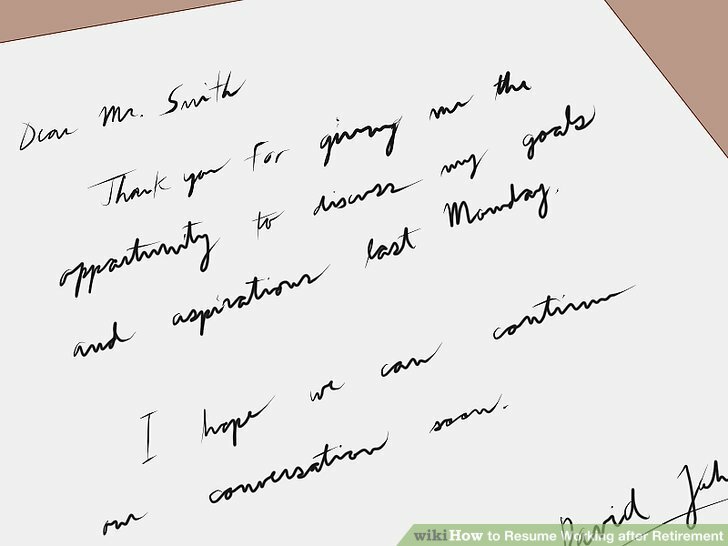 Be sure your thank you-note addresses each interviewer by name and the main topic they brought up.